Does wearing a helmet cause/aggravate hair loss? 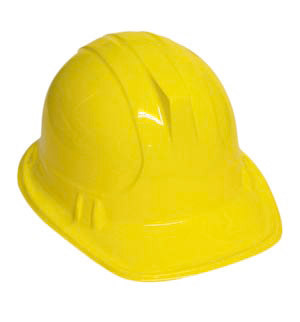 A person I know (and his colleagues) does not wear his civil engineers helmet because they believe that it causes or contributes to hair loss. An ehow post also makes the same claim regarding motorcycle helmets. Is there any research done to back claims that helmets or any kind of head-wear causes hair loss? Acquired hair loss may be a manifestation of various internal diseases, hormonal and nutritional conditions, systemic intoxications and genetic traits. However, exogenous exposures may be major contributors to hair thinning and decline of texture, color, luster, elasticity and manageability. In this review, we describe the effects of various exogenous agents on hair, including hair cosmetics, traction, heat, water, solar radiation and X-irradiation. Hair loss affects a large part of the population. It is usually categorized into five pathogenetic mechanisms: hair shaft defects, telogen effluvium, anagen arrest, destruction of hair follicles or miniaturization of the follicle. Hair loss often occurs due to various internal diseases, hormonal and nutritional conditions, intoxications and genetic traits. In addition, hair loss also occurs as a manifestation of external stimuli. This chapter describes the various exogenous factors that promote hair loss by the first four mechanisms (table 1), and downgrade hair’s physical properties such as strength, shine, and tactile characteristics. You can find the paper here. Continuous pressure on the scalp, such as one from a helmet, may lead to telogen effluvium, that is more hair loss that usual, although normally that is a naturally reversible process. Physical trauma to the scalp, such as from wounds from acciden- tal cutting or impact, thermal burns from heat or fire, chemical burns from acids, alkalis, or other caustic substances, and from freezing due to exposure to severe cold or liquefied gas such as liquid nitrogen can cause permanent hair loss. Continuous pressure on the scalp from a tight fitting helmet or other headgear worn every day can in some people cause permanent hair loss. Hair loss due to a tight fitting helmet will cause loss only at the site of too much pressure and is a result of friction and pressure breaking the hair shafts. This will not cause permanent baldness unless prolonged pressure prevents blood from getting to the hairs. It's possible, but I wouldn't worry too much about it under normal circumstances, unless there are other reasons that would contribute to the emergence of alopecia. Not the answer you're looking for? Browse other questions tagged safety engineering . Can riding a motorcycle without earplugs cause hearing damage? If I drop my cycle helmet, do I need to buy a new one? Does wearing a mask on the back of one's head protect against tiger attacks? Is it more dangerous to ride a motorcycle [with a helmet] than to drive a car? Does talking to a rubber duck improve programmer performance when debugging? Was there a Soviet anti-motorcycle-helmet campaign in the late 1950s and early 1960s?